Actually here are a couple of this to think that I felt go together. 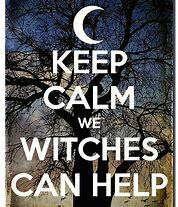 Always remember the Threefold Law and the Witches Rede then your magick will work for the good. Even if you get so mad at someone you think a hex or a curse is what you should do there is a way to take care of problems without being concerned on what the backlash to yourself might be. The Threefold Law – “Whatever you send out to someone without their permission will come back to you there times stronger. ” I have found this to happen more with something negative than positive. For example you cast a spell towards a co-worker who is up for the same promotion with better pay. The spell is to make the other person look bad by them messing up important in the position you both currently so you can get a promotion. This will probably carry the consequence of you not getting the promotion or getting demoted to a lower paying position or even possibly being fired from the company and your unemployment benefits being denied.